"The likes of Kate Nash and company have flitted through this piano siren/exuberant dance-diva territory, but never mind, because this gorgeous genre starts now." 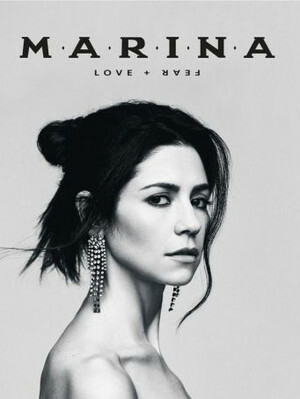 After a three year hiatus, indie-Pop songstress Marina Diamandis, formerly known by her stage name Marina and the Diamonds, is set to tour the US off the back of her forthcoming album 'Love + Feat'. You can get your first taste of what to expect with the recently released tracks 'Handmade in Heaven' and 'Baby', which Clean Bandit and Luis Fonsi collaborated on, on the upcoming album. Diamandis brings an ethereal charm and drama to her live performances. In the glow of neon and glitter, she asserts herself as a consummate performer, adept at connecting with her audience with haunting vocals that soar over a bubbly electronic soundscape. A siren in every sense of the word, she marries old-school glamour with the new-school sounds with ease. Expect bubble-gum pop with brains! Sound good to you? Share this page on social media and let your friends know about Marina at M Telus. Please note: All prices are listed in US Dollars (USD). The term M Telus and/or Marina as well as all associated graphics, logos, and/or other trademarks, tradenames or copyrights are the property of the M Telus and/or Marina and are used herein for factual descriptive purposes only. We are in no way associated with or authorized by the M Telus and/or Marina and neither that entity nor any of its affiliates have licensed or endorsed us to sell tickets, goods and or services in conjunction with their events.